Britain’s Jewish leaders have mixed reactions to the country’s surprising vote in favor of leaving the European Union. 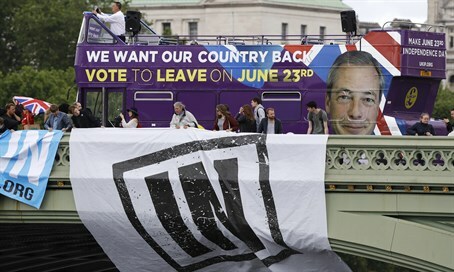 (JTA) — Britain’s Jewish leaders had mixed reactions to the country’s surprising vote in favor of leaving the European Union, with few offering an opinion on whether or not leaving the EU is a good idea. Sir Mick Davis, chairman of the Jewish Leadership Council, told the Jewish News he was sad to learn of Cameron’s resignation, because Cameron “has always been a loyal friend of the Jewish community and a visible and vocal supporter of the State of Israel. He has worked constructively with us, engaging on issues of concern to British Jews."